Despite Google's late attempts to compartmentalize its mobile operating system, the open source nature of Android remains one of its biggest strengths. Without it we wouldn't have marvelous projects like CM13 on (relatively) ancient Barnes & Noble hardware, or various Android-powered console emulators, or a hundred million $60 Walgreens tablets crowding Craigslist. (OK, that last one isn't marvelous, but you get my point.) 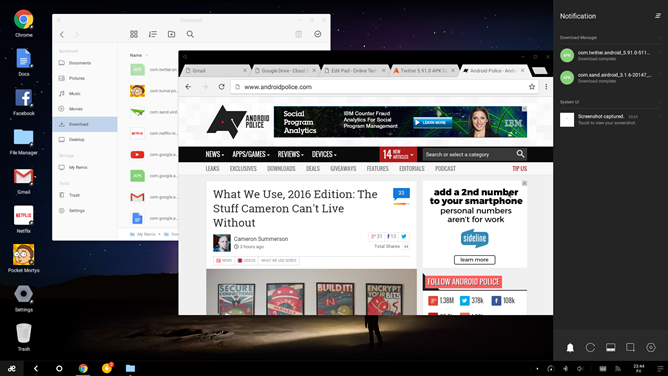 And we wouldn't have Jide's Remix OS, an attempt to create a desktop-style operating system on the bones of Android. Remix is now on its third incarnation, and unlike the original I-Can-Certainly-Believe-It's-Not-A-Surface tablet or the recent and lamentably underpowered "desktop," this one is completely free. This article isn't a review of the PC live boot version of Remix, because it's still labeled as an alpha-status project by Jide. And indeed, it's missing a few things at the moment, most notably a method for permanent installation and compatibility with the Google Play Store. Still, between the current software package and the more finished build in the mobile-powered desktop gadget, I can see a lot of promise in Remix. 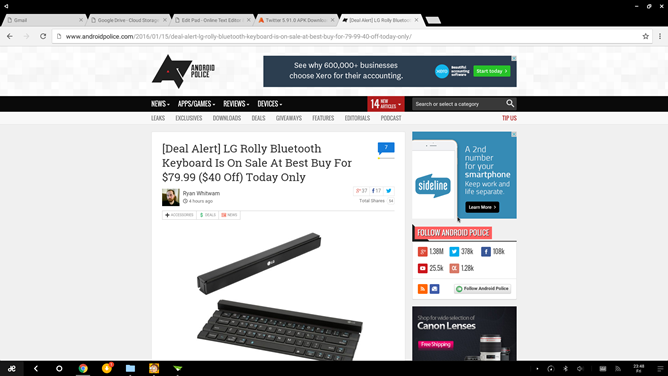 It could certainly be a viable alternative to the inexpensive "Chromebox" desktop machines currently on sale, or a cheap way to revitalize an older laptop that can't run the latest version of Windows. Is Remix a substitute for a fully-fledged desktop OS? Definitely not... but then the big three desktop operating systems, Windows, OS X, and Linux, have been in continuous development for decades. With that in mind, Jide has made some remarkable progress, and I can't wait to see what they have waiting in the wings. If you've read my review of the Remix Desktop, you can skip a lot of the following. 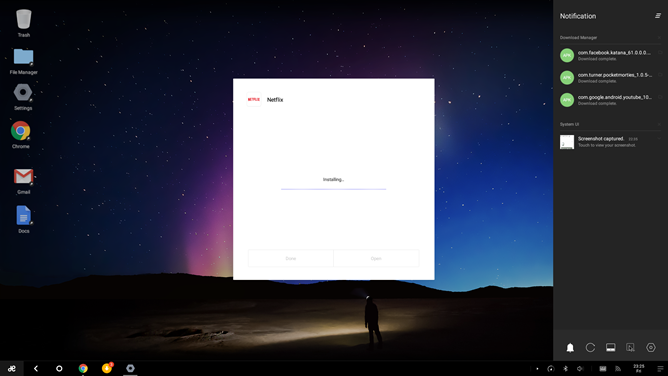 The live boot version of Remix OS is essentially the same software, except that 1) it includes a ton of generic drivers so that it works out of the box on most Intel and AMD-powered laptops and desktops, and 2) it doesn't include access to the Google Play Store. I'm assuming the latter is missing because this is non-final software, and given the cost and time investment, Jide doesn't want to add that piece of the puzzle until they're good and ready. That being said, the live boot version of Remix solves the only major problem I had with the Remix Desktop: a woeful lack of hardware power. That gadget was based on some incredibly cheap mobile hardware, with an off-brand processor and very little RAM for what was trying to be accomplished. But the live boot version runs on whatever desktop or laptop you happen to have handy, which in my case, is a nearly-new Thinkpad with a Core i5 processor and 12GB of RAM. To be honest, that's ridiculous overkill to run a comparatively tiny x86 version of Android. Getting Remix ready to run is fairly simple: all you need is a Windows or Mac machine and a flash drive with at least 8GB of storage. Jide recommends a USB 3.0 model (and a compatible desktop or laptop to run it on), and I've done so for the purposes of this hands-on, though early users say the experience is just fine with 2.0 speeds. Run the setup utility to install Remix to the flash drive, then when you're done, reboot on the same machine or any other and select the flash drive as a bootable device. Remix will start right up. Remix is rough in the pre-boot environment, looking rather like someone tried to bolt a GUI onto DOS. But it's not all that important: all you need to do is select whether you'll run it in a demo mode or as a "Resident," a permanent user with apps and settings saved directly to the flash drive. Once that's over you need to wait several minutes for Remix to load. Once it gets started, you're off to the races. 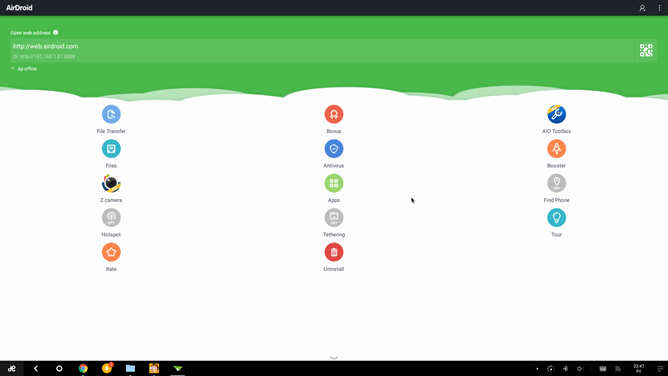 The interface is more or less identical to the Remix Desktop: it's a sort of minimalist version of latter Windows designs (and pretty similar to Chrome OS as well), with a Start button, taskbar, notification area, and a desktop for app shortcuts and anything else you want to throw on there. Considering how relatively rigid AOSP is with its dedication to a full-screen operating system, Remix's implementation of a windowing system is incredibly impressive. It works exactly as you would expect it to: minimize, maximize, resize, and move them around just like you're accustomed to on Windows or OS X. 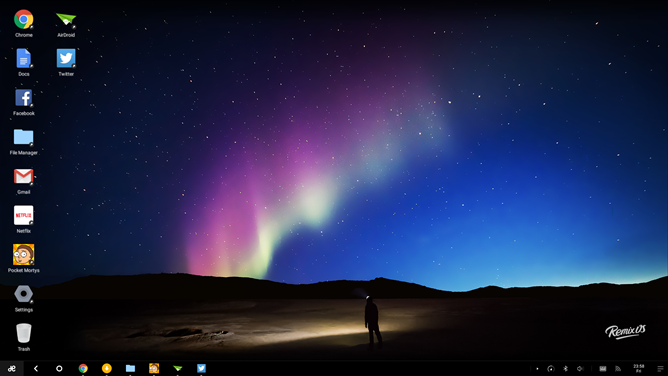 Likewise, the Start button, tool bar, and notification area all familiar - the slide-out notification bar even includes some quick settings options, like Windows 10. 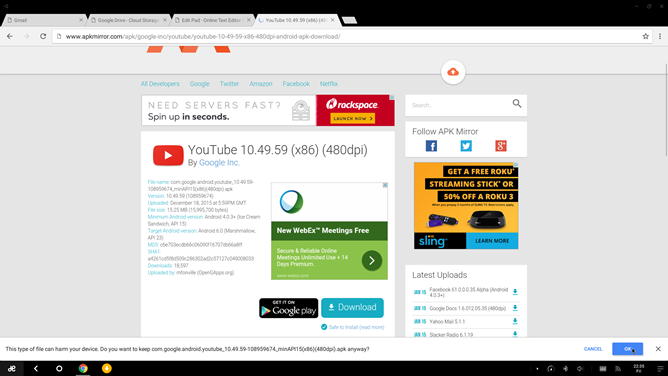 Unless you get frustrated by modern desktops on a daily basis, there's nothing in Remix that will present a challenge to you. Granted, that's because at present, Remix OS is tiny and unsophisticated compared to other desktop operating systems. It's still Android, even with a desktop and a windowing system - the Settings interface, for example, is basically unchanged. But the extra power from desktop hardware makes it so much more friendly to use that even given its barebones nature, I'm inclined to be well-disposed towards it. Regular desktop users will feel right at home quickly. Keyboard shortcuts mostly carry over from Windows, and are enabled in apps that support them, like Chrome. Even the Print Screen button on my keyboard was bound to Remix's custom screenshot tool. Creature comforts such as custom wallpaper and auto-arranging icons are available on the desktop, though you're stuck with the default resolution of your screen or video adapter. The biggest omission at the moment is Google Play Store compatibility. 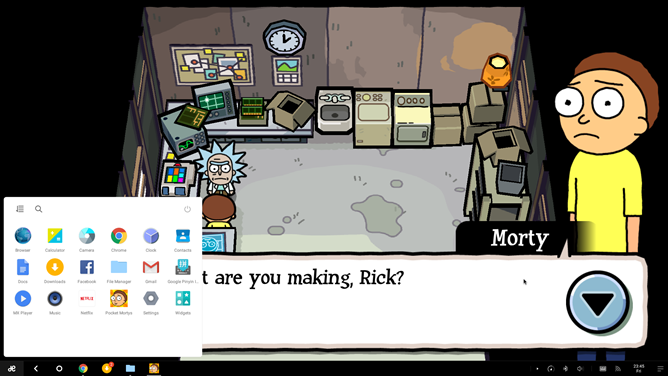 I was able to add Chrome, Airdroid, and a few games to play from APK Mirror (which, though I'm just a tiny bit biased, is the the best repository for free, legal apps on the web). But without access to Google Play Services, more complex apps like Gmail or Docs simply won't work. Eventually this should get ironed out - the Remix tablet and Remix Desktop both include Play Store access. This means you'll have to settle for web versions (and in most cases, mobile web versions) of vital Google apps. The universal drivers that allow Remix to operate on a wide variety of hardware aren't quite as universal as they need to be. While the big stuff like video, audio, and Wi-Fi worked on my laptop with no problems, for some reason the touchpad was wonky, unable to register right-clicks (Remix's version of a long-press, and fairly consistent in the UI) and a bit too precise for reliable link clicking. So I paired up my Bluetooth mouse... only to find that Bluetooth is finicky too, only connecting about half the time. Anyone who's spent time with pre-assembled "user-friendly" versions of Linux will be familiar with this phenomenon. Trying Remix on different computers with different components will probably result in different problems. Again, I emphasize that this software is being presented as an alpha, so these sorts of things are to be expected, and will probably improve over time. This build is based on Android 5.1.1. At the moment, the limitations on Remix are too great to make it a viable alternative to a low-power Linux build or a Chromebox. But that might be changing, and changing soon. Considering the improvements that Jide has been able to make in a relatively short time, it wouldn't surprise me if the live boot version of Remix for PCs was ready by the end of the year, complete with a permanent installation and/or dual boot option. The prospects of this desktop-tuned version of Android and relatively powerful hardware are exciting, to say the least. A more finished version of Remix would make an excellent pair with something like the x86-powered "PC sticks" that have become popular lately. Right now Remix is a curiosity, something for Android enthusiasts and developers to try out. And to Jide's credit, they aren't claiming anything more than that at present. But give it some time, and we might see something quite special come out of this project... especially if developers begin to create true desktop programs for Android in the hopes that they're used on Remix. The fact that Jide plans to license its version of Android for free doesn't hurt in that regard.